​CUP​E has produced a new booklet on HIV and AIDS to help locals build awareness, promote discussion, and foster action on these critical issues. HIV and AIDS are not only health issues; they are also human rights and social justice concerns, economic challenges, and labour issues. As a union, we are proud to stand in solidarity with those infected and affected by the disease, and with organizations and workers who support people living with HIV and AIDS. CUPE stands for strong, healthy communities and workplaces for everyone. 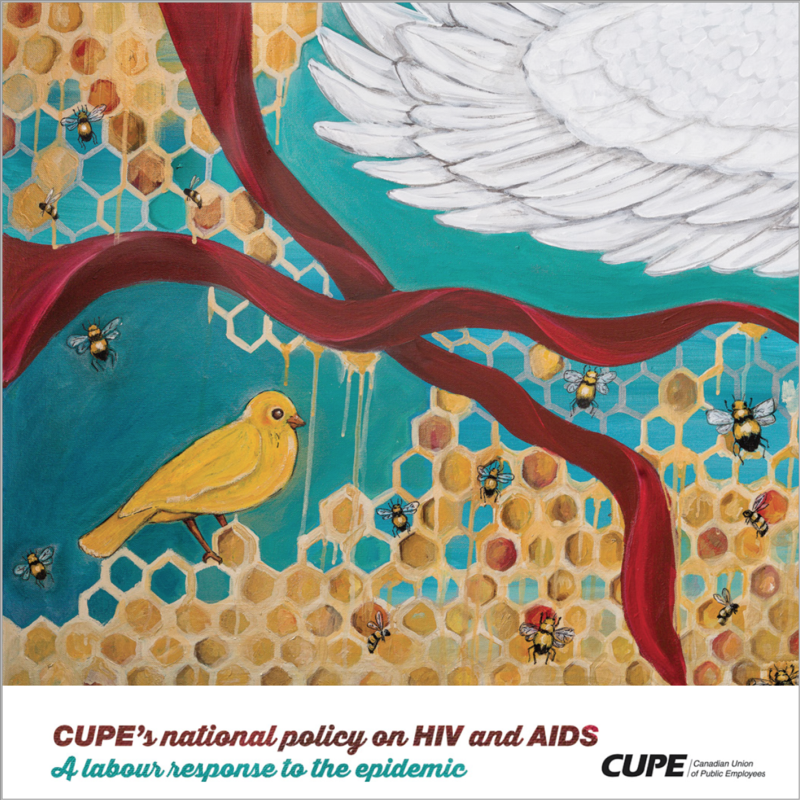 CUPE adopted an updated policy on HIV and AIDS in 2012, and this policy forms the core of the new booklet. Information is also provided on statistics, a basic analysis of the context of HIV today, and practical ideas on how we can begin to make a difference. Order copies of the booklet to support your work with your locals and in your communities.